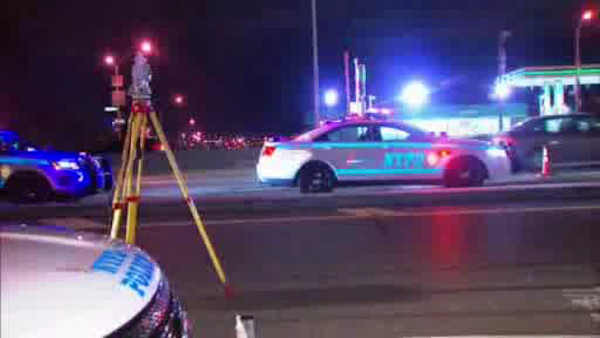 NEW YORK (WABC) -- A man was struck and killed by a car on an exit ramp to the Bruckner Expressway in the Bronx Saturday night. Investigators say the man was walking up the Hunts Point Avenue exit at about 8:30 p.m. when a vehicle stopped to avoid hitting him. The man then stumbled and fell to the ground. Another car drove around the stopped car and hit the 48-year-old victim. The drivers remained on the scene. No arrests were made.